Meet Linda and her husband, Paul, who is a Custom Saddlemaker and pure Cowboy at heart. Their love of horses, nature, and holistic living is the feel of their home to welcome you into a comfortable setting for your transformation. Rev. Linda Lightfoot provides multi-dimensional healings and training in new Golden Age Principles and Wisdom to those who “feel called” to the Healers Path for transcendent living, spiritual growth, and Divine Sovereignty. She offers a Sacred Space for clients to receive spiritual counseling, coaching, guidance, and healing. Her assistance aids profound shifts to empower her clients to understand and move thru their unique Soul challenges for this lifetime. As well providing an understanding of their Soul Contract, Life Lessons, and dominant Chakra Orientation. Her own Soul Awakening has been a slow unfolding since the late 1980’s. She was not born into a metaphysical family, so has had to re-learn past life skills with the help of great mentors. But, her incredible parents gave her all the support to follow her first love of dancing since the age of 5. It has been an incredible journey since. Becoming an Artist, Visionary, Shamanic Healer and Teacher with an Aquarian Sun, Virgo Moon, and Sag Rising. Professional Dancer and Actress in the entertainment world for over 30 years. Getting to dance with Patrick Swayze. And, yes, he was so fabulous and real. 1st degree Black Belt Teacher in Tae Kwon Do martial arts. Initiated her Warrior Spirit. 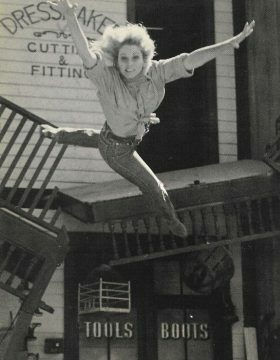 Lead Actress/Stuntwoman for Universal Studios for 12 years. Following her Native American Choctaw roots led her into Shamanic Healers Training with several mentors allowing her to experience many mystical experiences and mediumship. Apprenticed 5 years with Don Miguel Ruiz and his mother, Sarita – and ordained as a Toltec Mentor in Eagle Knight Lineage. 2 years with Rev. Rick Jelusich and ordained as Reverend thru Universal Church of the Master. 4 years advanced intensive with Don Oscar Mira-Quesada – current study. Opened Pleiadian Stargate in Petaluma, CA in 2014. 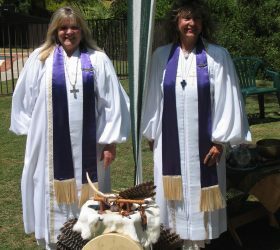 Developed her own Shamanic Empath Healers Training and Mentorship modality – 15 levels to graduation and certification. Co-Founder of Affinity Massage and Wellness Center in Estes Park, CO.
Master Dream/Vision – own 35+ acre Ranch with horses and aviary where people will work directly with Spirit Animals and Birds in person and in Spirit World. It’s close…so stay in touch.